LINX is a unique modern controller that declutters the dashboard and centralises the command of vehicle accessories by replacing classic switches, gauges and monitors with one sleek and smart driver interface. Built on an expandable platform, LINX will continue to evolve your on and off-road driving experience both now and into the future. SKU: CVC-ARBLINX. Categories: 12V Management, Upgrades & Intelligent Charging Systems, ARB, Latest Products. Fitting out a modern 4X4 with a range of accessories such as driving lights, air lockers, dual batteries and air compressors can quickly lead to a dash full of out of place, hard to reach switches and a myriad of gauges and monitors either stuck to the windscreen or drilled into the dashboard – not to mention all the associated fuses and wiring. LINX offers a single point of control via its user-friendly, Bluetooth enabled, mobile touch screen display. 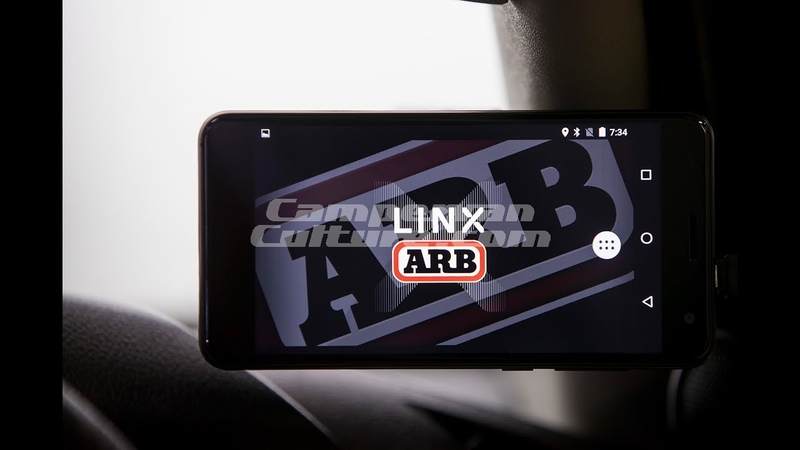 The LINX mobile display mounts conveniently and unobtrusively within reach of the driver while the main control hub lies neatly out of sight under the dash or seat; taking care of all accessory wiring. LINX comes with six pre-installed modules: Front and Rear Traction, Compressor Control, Accessory Switchboard, Battery Monitor, Speedometer and Air Suspension Control. See below for more details. Beyond its expansive range of modules, LINX presents a truly adaptable platform with module level settings, as well as, many additional general settings. Within the general settings of LINX users can customize the colour theme to match any interior dash theme; apply night mode for automated dimming which is activated by the vehicle’s headlights; and set the preferred unit measurements for air pressure, speed and temperature. As an expandable platform, simply connecting the screen to a WiFi point allows you to upgrade your LINX with any new updates at the press of a button. Removing up to three switches from your dashboard (front air locker, rear air locker and compressor), the Front & Rear Traction Module automatically senses driver input and activates the compressor as required. Capable of switching each locker independently or allowing the front locker to be activated only when the rear locker is selected first (a traditional safety feature), each locker key is highlighted in the displays theme colour when selected, or grey when not selected, also showing a locked/unlocked symbol below the icon. In addition to being able to activate your compressor within LINX, we have taken tyre inflation and deflation to the next level (with the optional pressure control hardware kit fitted). 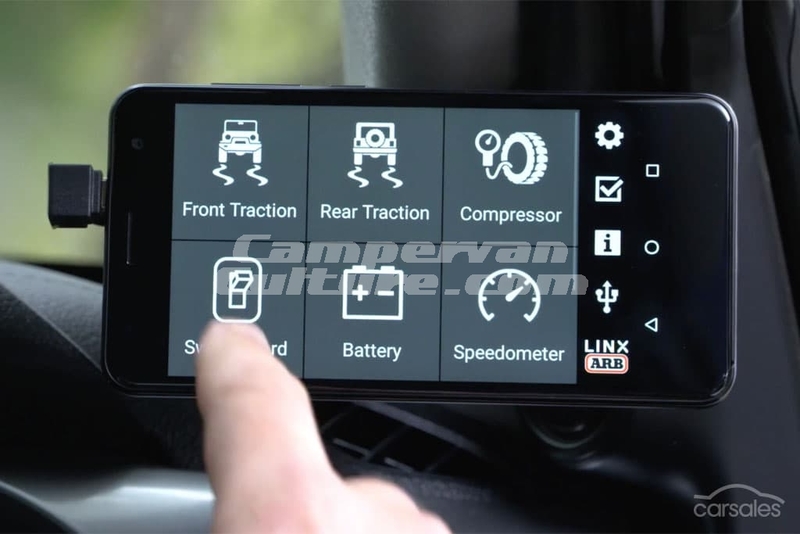 LINX allows tyre pressures to be adjusted and set remotely via the touchscreen. By simply connecting the air hose from your vehicle mounted compressor to the tyre valve, current pressure is displayed on the LINX screen (which you can carry around the vehicle with you). 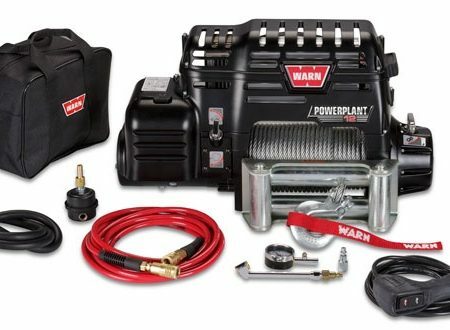 Inputting a target pressure automatically inflates or deflates to your desired level with the pressure shown in real time on the display, making airing up or down for highway or off-road simple and accurate. 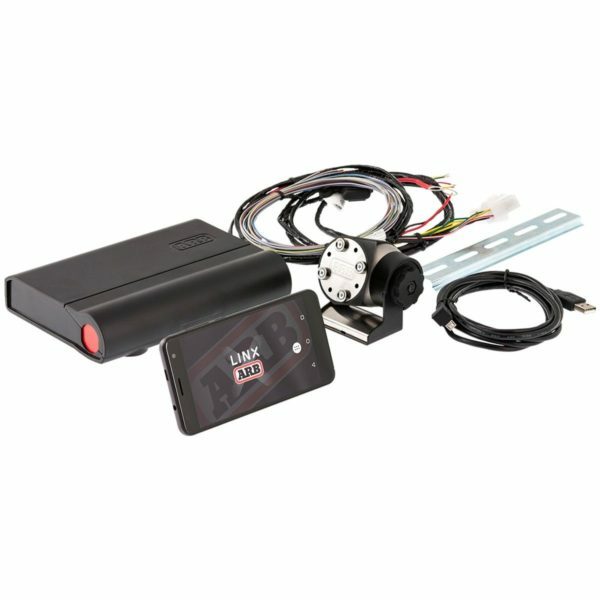 A key feature of the LINX platform is its ability to control six additional accessories. Each accessory can be customized to switch on or off by user input, or automatically when the ignition, high beam, low beam or reverse lights are turned on. Additionally, each switch can be renamed to suit the accessory and as an added safety feature, each accessory has an individual low voltage cut out settings to protect your vehicle from a dead battery. With all the additional powered accessories fitted to your vehicle, having ample battery capacity is a must. LINX allows you to monitor up to three batteries simultaneously. Create a custom name for each battery and set low voltage warnings on each; ensuring your beverage stays cold and you are never left with a dead battery. Your vehicle’s factory speedometer can be inaccurate, coupled with changing your tyre size or running different tyres for on or off road use can often lead to further speedometer inaccuracies. With LINX’s Speedometer Module, you can now have confidence regardless of your tyre size, due to a built in GPS that ensures an accurate speedometer reading. The LINX Speedometer Module also shows your altitude and compass bearing and allows for speed limit warnings to be set. When fitted with an optional LINX Pressure Control and Airbag Suspension Isolation Kit, LINX can control up to four airbags either as pairs (to level front to rear) or independently*, allowing for levelling of the vehicle side to side and front to rear. Many off roaders install airbag suspension systems to help carry the occasional loads associated with towing. Users can pre-set up to four personalized pressure modes which can be appropriately named to suit common loads or trailer types so they are available at the push of a single button.